Developed by Nihon Falcom Games and published by NIS America Ys VIII: Lacrimosa of DANA is the eighth numbered entry in the long-running, exploration-heavy Ys series and is one of the best Action-RPG's available on the Vita in our opinions! Why do we hold this game in such high regards? Continue reading our review to find out! Ys VIII: Lacrimosa of DANA is an Action-RPG at its core, much like previous entries in the series. 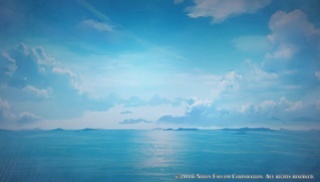 The game emphasises on exploration and does an excellent job at puting player's into Adol Christin's shoes with its semi open world, complete with various vast ecosystems. The objective in this game is to find survivors from your ship that help you unlock new facilities in Castaway Village as well as helping you remove barriers to reach previously impossible to reach areas of the island! Along the way you'll face many enemies and a seemingly endless barrage of bosses bent on ending your desperate plan to escape the island. Much like Zelda games you can obtain tools to solve certain issues or reach areas you couldn't before such as high ledges using the double-jump tool or walking across a swamp using a certain other tool. These tools are a core mechanic of the series and really add to the games and in YS VIII things are no different in this regard! 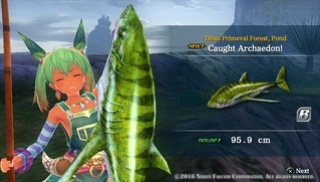 Ys VIII also adds various new minigames such as fishing and interception missions where you must fight off hordes of monsters in a raid-like battle to protect Castaway Village. These add quite a bit of replay value to the game which is always a good thing! Also Ys VIII is easily the longest game in the entire series and can take first-timers upwards to 50+ hours to beat! The controls are decent, however you might want to remap some of the buttons should you decide to play the game on a PSTV. 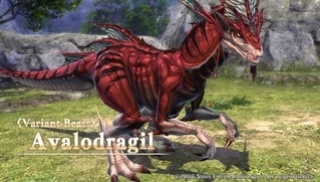 In-terms of difficulty, Ys VIII ranges from easy on the easiest setting to rage-inducing on the most challenging setting so expect to be able to play at your own level be you a pro or newbie to the series! The visuals in the game are among the best we've ever seen on the Vita. The character models are gorgeous and unique with a ton of details while the world itself is lush and full of life. The game quite literally looks like it belongs on the PS3 which blew our minds. We never imagined that such amazing graphics were even possible on the hardware so kudos to Nihon Falcom for pulling off this hat-trick! The soundtrack is equally impressive as expected of the in-house Falcom music studio! While not quite as good as the music in The Legend of Heroes: Trails of Cold Steel, it's still top-notch and even has a cameo track from The Legend of Heroes: Trails in The Sky which is a nice touch! 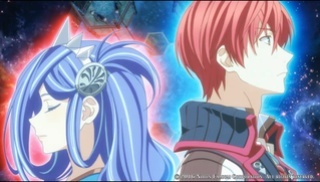 With highly enjoyable and nearly flawless gameplay, tons of content and fun minigames, good controls, and an excellent story, Ys VIII: Lacrimosa of DANA will have any fans of the RPG genre instantly hooked, and the difficulty options, gorgeous visuals, and top-notch soundtrack will keep you coming back for more! Ys VIII: Lacrimosa of DANA is in our opinions one of the very best experiences available for the Vita and as such we give the game a nearly perfect level of recommendation! Nice review! This looks like it might be your longest review article since you reviewed Xenoblade Chronicles and Fishing Resort over five years ago lol. Such lovely review. I like much! Wow nice review. @GeekyGamerZack the score is legit as the game is one of the best I've played in years. @Kain @Aqua Cherry Blossom Thanks for your compliments! Nice review boss. I need to get this game sometime because I love the series. This sound very nice! Cool review @Reanfan. How did you finish the review so quickly? @DigiDestined He probably got a press code for the game before it launched. I can say that he still must have played the game like crazy to for him to have finished it shortly after the game's release though, because it took me 74 hours to beat the game. Ahem, anyway nice review @Reanfan! Sweet review! Might give the game a go sometime. Your reviews have been improving by leaps and bounds @Reanfan! Excellent review dude! Great review. I just reached chapter 4 so how close am I to the end of the game? Excellent review @Reanfan. I haven't played a game in the Ys series since Ys Books I & II on my Wii a few years back. 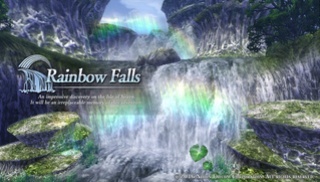 Is this game worth getting if you've missed out on the previous five games in the series? Wow, thanks for making our latest reviews such a smashing success! @Retro Gamer Absolutely, most of the games in the series are stand-alone with just a few nods to previous games in the series. Amazing review @Reanfan! As a longtime fan of the Ys series I fully agree with the score! Excellent review as always @Reanfan! This sounds like a fun RPG! This game is fantastic and so is your review @Reanfan! This game looks incredible. Is there any chance that it'll be ported to Switch at some point? So basically it's a Zelda lite game? @GeekyGamerZack @Bro2Dragons @SKTTR @KingreX32 @KokorOtaku @ryoutak @PennSage @Tech101 @LTGamer @RoryLee @themcnoisy @Sneaker @Clαππαd @GamerAce @visicalc @ryuragnas @BurstDashV8 Holy Cow! I just checked and this is our first review in over three years that has received over 30 comments! W00t! Wow you guys! Thanks for the overwhelming support! Lacriwowsa of DANA! Awesome review buddy!